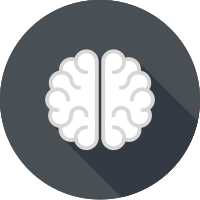 Addiction is a brain disease having its beginnings in adolescence when the brain is not fully formed. Using alcohol or other drugs on a regular basis (1-2 X per week) at 15 or younger, increases the likelihood of having a problem later on in life by 40% over those who waited until their 20s! The brain's "front end," the part above the eyes, exists to slow us down or stop our impulsive behaviors. It considers the risks and benefits of our actions, and it helps us "hit the brakes" when we consider doing things that are too risky. 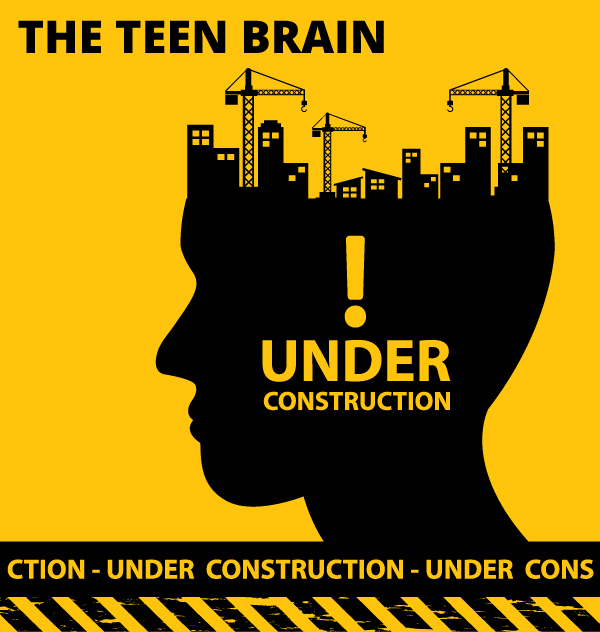 This front part of the brain is still developing connections to the rest of the brain until adulthood, so adolescents' brains lack some of the "wiring" that carries "brake" or "stop" messages to the rest of the brain. Drugs of abuse are often available to adolescents. These drugs feel good, but they can be very harmful. Lacking some of the wiring for the "stop" message, adolescents' brains may not fully weigh the risks of drug use. The two drugs that cause the most death are also the most available drugs: tobacco and alcohol. Late adolescence, before the brain is fully matured, is the peak time for developing dependence on these (and other) drugs. Heavy drug use during times of critical brain development may cause permanent changes in the way the brain works and responds to rewards and consequences. Therefore, it is important to begin to address a developing substance use problem as early as possible.